The Microsoft Store is clearing inventory it seems with plenty of deals on Xbox One games. We've spotted a few co-op deals you might want to consider. There might be more we missed buried, and most of the deals offer free shipping too. Borderlands: The Handsome Collection - You'll get Borderlands 2 and Borderlands: The Pre-Sequel in glorious next-gen fidelity with included four player couch co-op support. It's normally $59.99 but on sale for $44.99. 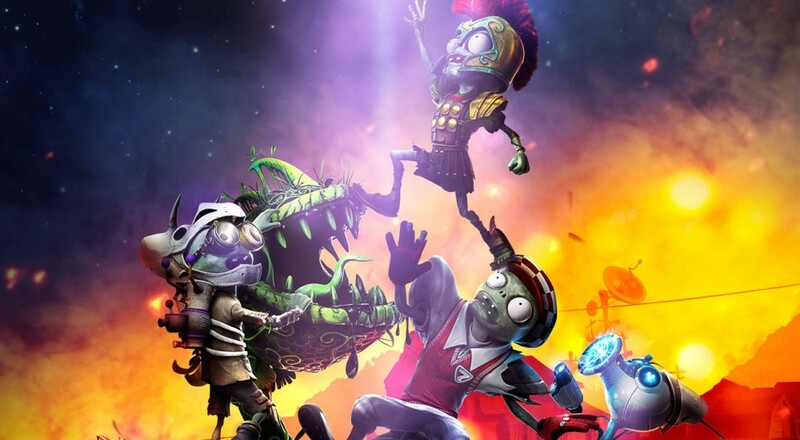 Plants vs Zombies: Garden Warfare - A family friendly co-op shooter featuring the hilariously designed PvZ characters? Sign us up for this four player game everyone can enjoy. It's just $12.99. Grand Theft Auto V - Heist online with friends or take on various co-op missions in GTA Online. It's always hard to find a deal on a GTA game but you can snag it for $44.99. Halo: The Master Chief Collection - With ODST launching soon as DLC, you'll have access to just about every Halo game out there in one package. All for $45.